The major importance of Proxy or VPN is to secure and Hide your actual IP address while you are surfing some sensitive websites. Proxy Server works on the HTTP(s) or SOCKS4/5 protocol, The proxy server only tunnel the traffic on special application, such as chrome browser. The VPN do same result as Proxy Server, But captures entire internet connection which means every application on your computer, and the VPN tunnel is encrypted. Generally when we’re talking about the IP leak, You may use different application or software. So this post I would like to discuss IP leak or not when you’re using VPN. 2 How to know that your VPN is leaking? For security reason, All your network traffic is sent and encrypted to your VPN server, while you are using it. But the question is, how much secured is VPN service. If you haven’t switched on any service yet, then it is mandatory that to clear out your ideas that how much convenient is your service provider. That means you need to make sure that, user’s true IP address is not leaking from your VPN server. VPN is actually the most trusted internet security option of today, especially to mask your actual IP address. VPN is truly efficient when you are facing an internet restriction is some places, where some sites are restricted due to cultural or political issues. But sometimes people faced the issue of security flaws and the VPN server reveals the true IP address of a customer suddenly. There always the risk of internet security, even if you are under the VPN protocols. That increase the chances of leaking your financial transaction details, emails, banking details, social profile’s passwords etc. VPN or the IP leaks are major security issues of today and that leads to a cyber crime also. To keep your internet security full proof, you must need to follow some useful tips. If you find that your IP address is leaking from the server then at first it is necessary to find out the reasons. Flaw of VPN can disclose your location and identity to a third party also, There actually some major reasons for that. To provide a customer uninterrupted security it is essential that your service providers keep the VPN system up to date all times. But sometimes, they fail to that and a third party can easily discover your details from the flaws. Even the bugs can exploit your IP address to outsiders. The most well-known VPN leak issue is IPV6 leaks. Even you never come to know that your internet security is at risk and that can reveal your personal info to others including your actual IP address, current location and also your identity. IP protocols are necessary to receive or to send important data through the internet. Without any valid IPV6 – Internet Protocol version 6 protocol, you never be able to surf the internet for social networking, movie streaming, song streaming or mail receiving and sending. IPV6 is actually a new master of the internet adobe, which is most effective than IPV4. But the problem some of VPN service providers only tackle the request of IPV4, the outdated one not IPV6. IPV6 is smarter than the previous one to secure your sensitive data. So if your service provider not compatible with the smart IPV6, then there must be many chances of IP leaks. DNS is the most common reason for IP leaks. This type of IP leaks happens only because of your service provider’s negligence or sometimes by the user’s errors. If your operating system is not configured properly or if there the bugs of the service provider, you can lose your internet security due to the poor system. DNS is actually the Domain name system and that mechanism can turn the web address into your IP addresses. DNS can expose your location majorly. If you are using the old Windows OS on your device, then there so many chances of DNS leaks because of the resolution of that Widows version. IPV4 is the most popular protocol or system to define your IP address. If the operating system of your devices creates any error or connects and sends the request to unknown DNS server, then there is a big chance of IPV4 leaks. IPV4 leaks cause only if you are using an outdated service. WebRTC is the smart communication system of the modern age that connects your browsers with modern features including video chat, voice calling, P2P file share etc. To get the smarter communication, people are switching on the option of WebRTC but the drawback of real-time communication is, that allows all the websites to know your actual IP address over your VPN servers IP address. If you are using the brand new Windows 10 system on your device, then you must be aware of the issue. Windows 10 is designed with a new feature, Smart Multi-Homed Resolution, and that causes a severe IP leak issue. Generally, the DNS request only goes through the VPN but the new window’s system allows to reroutes the DNS to go through by any fastest available resource. In that case, you’re your request can move through the local interface of the network to the ISP but not by your VPN server. If your VPN server is designed poorly and not follows any smart techniques, your VPN connection may drop. Even if you are using torrent with your VPN service and your VPN connection is awful then torrent takes the charge of download by using your actual IP address. Reasons are many but it is necessary to solve out all these issues to have a flawless security for your internet surfing. To stop the IP leaking, you must need to know that, your VPN is leaking. How to know that your VPN is leaking? To check the VPN protection of your network, you can visit some sites like the whoer.net or IPleak.net. From there you must come to know your ISP-provided IP address. To verify your connection after login to your VPN server with valid ID and password, just select an exit server in the diverse country. By doing that you will get an idea that your VPN is secured or not. Then again back to that particular website, IPleak.net and check your IP address again. Generally, you will find a new IP address there and the particular country, you have chosen and also the private VPN. After the process, go to the WebRTC test page and you will find the IP address there. When both shows the same IP address of your VPN, then you are safe and protected. But if the website shows the VPN server’s IP address but the WebRTC shows the original one then your network connection might be at risk and means your VPN is leaking. If you find that your VPN is leaking then you must need to fix the issues as soon as possible to secure your data. Some widely used web browsers come with the WebRTC enable the feature by default but few don’t. Google Chrome, Opera Browser, and Firefox have that features but Safari and Internet Explorer are not designed with the feature. So if you are using the webRTC enable browsers on your device, just disable the feature or work through the safer browsers. You can go for the leak test by using the method, if you find that your browser is affected, choose the browser which is not WebRTC enable. But if you want to Disable WEBRTC on Chrome then easily install the Scriptsafe Extension or WebRTC Leak prevent extension from the web store and disable the feature to continue browsing. With Opera, By following some steps: Find Opera: Type “about:config” in the address bar or go to “Settings”. Select “Show advanced settings” and click on “Privacy & security”. At “WebRTC” mark select “Disable non-proxied UDP”, Also you can use WebRTC Control extension to block WebRTC leaks. With Firefox browser you will get some way out also, you can disable the WebRTC add-on feature there or can go to the option of “about: configuration” by opening a Firefox new tab, Scroll down to “media.peerconnection.enabled”, double click to set it to false. 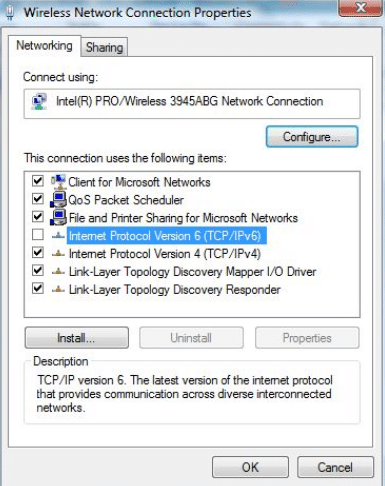 You can also stop the IPv6 leaking by making your IPv6 disable in the Windows Os System or by disabling that in your VPN client. Sometimes you will find the inbuilt VPN leak protection feature in your VPN and they resolve the leaking issues by updating the software, all the smart service providers are now adding the option to satisfy their customers more. There might be the VPN Killswitch or somewhere as the internet kill switch on your device. These may monitor the internet connection and all your surfing details. This is quite effective to save your networking from VPN leak and it shut down your device is there any drop out of VPN. It may give the opportunity to use your firewall system and prevent any kind of net traffics which are the outsiders for your VPN. This is the most trusted option to protect your net browsing. To get the ultimate security you can install the VPN on your router instead of your device. By doing this you will have the facility to protect all your devices on your home network, smartphones, tablets, desktop and also the set-top box of your television with one VPN encryption. You can use the smart VPN apps on your device. Manual configuration of VPN increases the chance of DNS leaks but as the trusted VPN service providers update the VPN apps constantly and that prevents the DNS leaks. You can also use the Firewalls to prevent the IP leaks. Just force all of your traffic to go through by the firewall first or you can create an exception for the firewall to allow the data sent safely with your VPN tunnel without any possibility of leakage. The first and foremost step to get rid of the VPN leak issues, choose a trusted and right service provider. The risk of VPN leaks is most with the free VPN service, it is always safe to buy your VPN package to ensure your internet security.